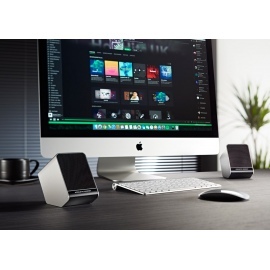 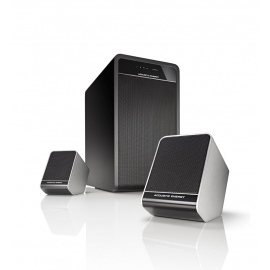 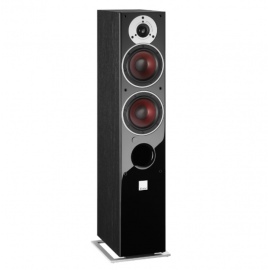 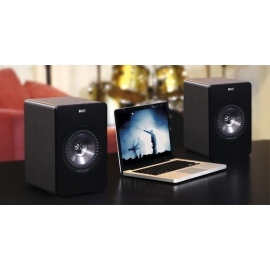 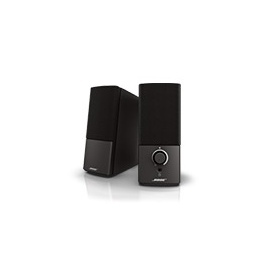 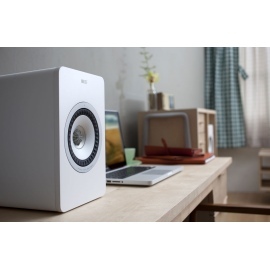 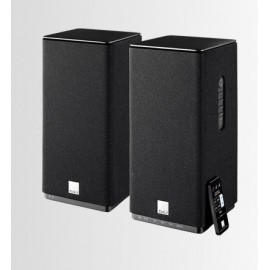 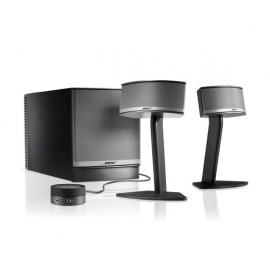 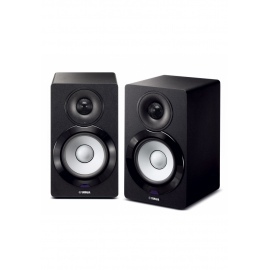 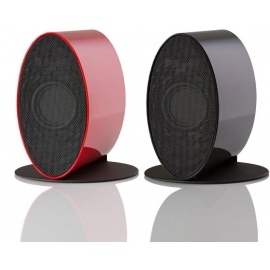 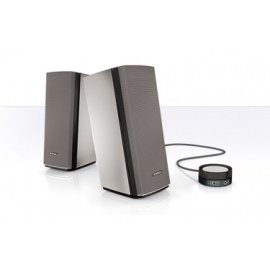 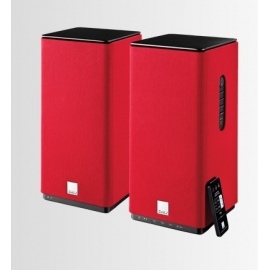 Dramatically improve the audio from your computer with the Companion® 20 multimedia speaker system. 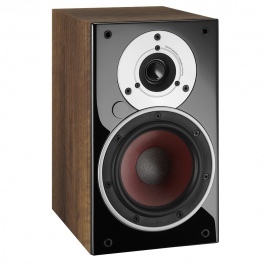 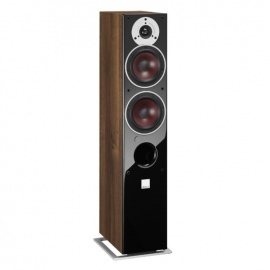 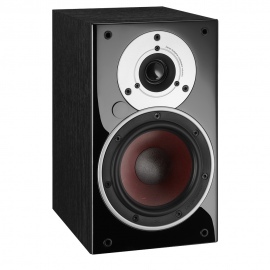 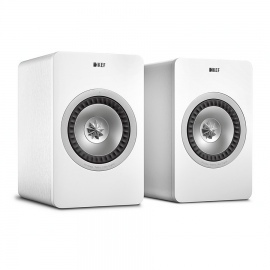 Our best two-piece computer speaker system reproduces full, natural sound whether you're in front of your computer or way across the room. 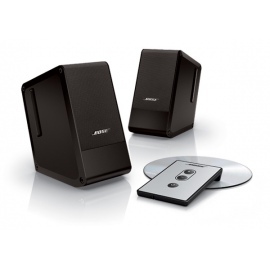 *Enjoy full, natural sound at your computer – or across the room – from our best two-piece system. 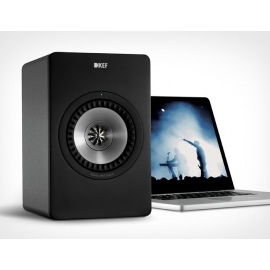 *Sleek, space-saving design complements your computer and eliminates need for a dedicated bass module. 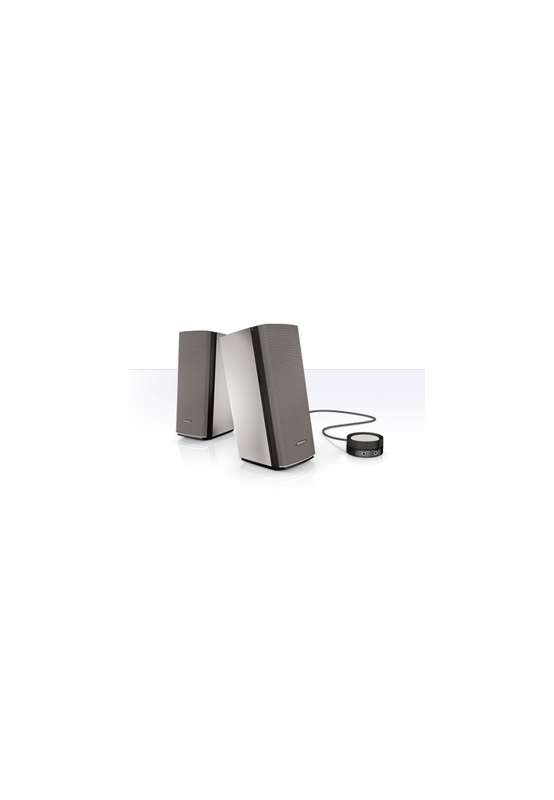 *TrueSpace® technology reproduces wide, natural sound from only two speakers, bringing more life to music, games and videos. 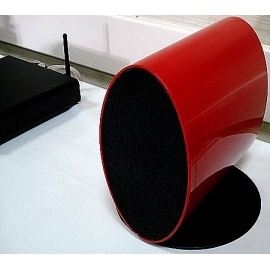 *Unique control pod makes it easy to adjust or mute volume, connect headphones and add another audio device.